I am seriously into orange soup right now. Perhaps because it is the “orange” season. The leaves are turning orange and pumpkins are everywhere. My family used to drive a "school bus orange" colored car and, at first, it was embarrassing – but then, we could always (and I mean ALWAYS) find it in a large parking lot. It stuck out like a pumpkin (and not the Cinderella coach version). 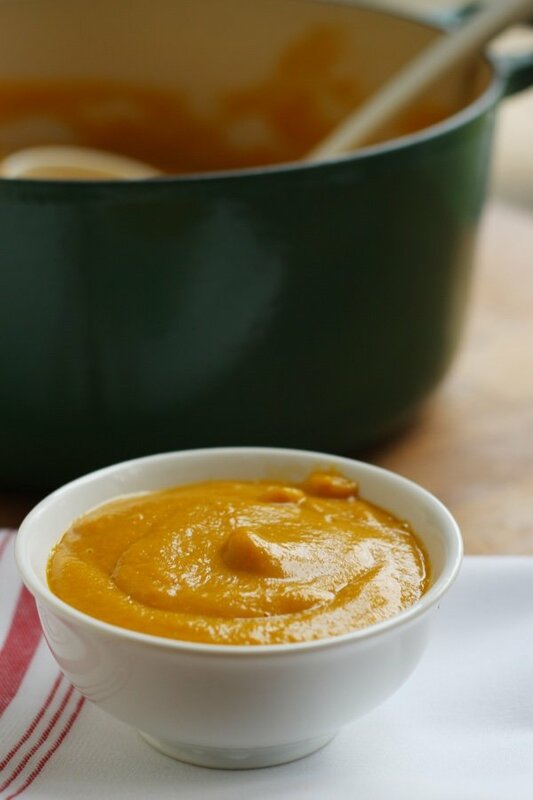 Last week, I talked about the best way to prepare butternut squash because I love making butternut squash coconut curry soup. 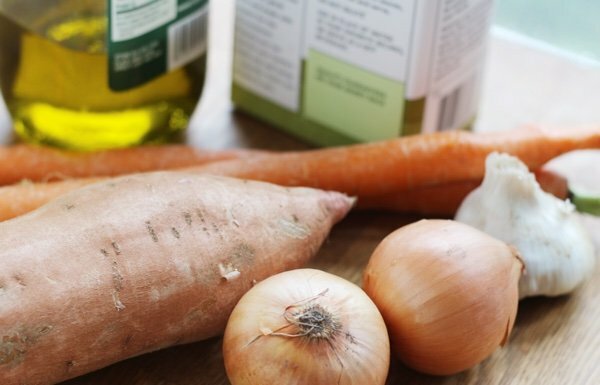 This week, I am all about sweet potatoes and carrots. The key to this recipe is how you cook it. Yes, I love cream in my soup just like everyone else but you don’t need cream if you add an extra step. That step, roasting the vegetables, is ridiculously easy. 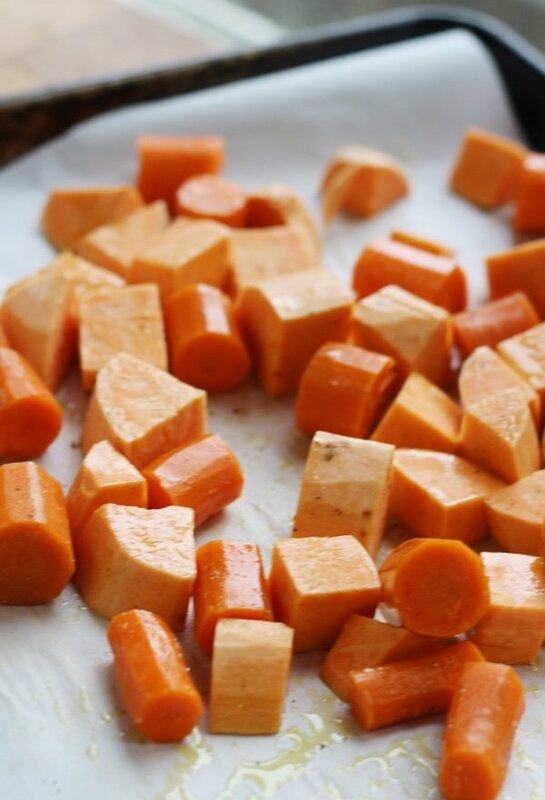 All you do is peel the carrots and sweet potatoes, cut into chunks, and toss on a rimmed baking sheet lined with parchment paper. The roasting DEEPENS the flavor and you don’t need cream, much salt, or much of anything and it tastes gourmet. It amazes me that something so simple could taste so good. You really can’t lose with this soup. It’s light, hydrating, comforting and easy to store and packed with nutrients. I will say that it isn’t that easy to take to work (unless you have an excellent Thermos). Also, if you get bored of eating roasting vegetables this is a nice variation. Recently, I visited Montreal and had a lovely meal that included roasted cauliflower soup (you all know how I feel about cauliflower). It was a small restaurant and when we walked in, I could see the baking sheets with cauliflower coming out of the oven. Next up, roasted cauliflower soup!! Heat the oven to 450 F. Place the carrots and sweet potatoes on a rimmed baking sheet covered with parchment paper. Toss with one tablespoon of the olive oil and a liberal amount of salt and pepper. Roast for 25-30 minutes until the chunks are easy to pierce with a fork. While the vegetables are roasting, heat a large saucepan to medium high. Add diced onions and slowly cook for 10 minutes to allow the onions to slightly caramelize. Add the garlic and stir for about one minute. 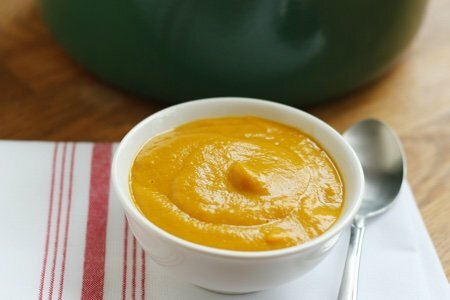 Blend together the roasted vegetables, onions and garlic, and stock in a high power blender or use an immersion blender. Serve hot and garnish with sour cream if you would like. This looks and sounds so good. just printed recipe and will make soon. Looking forward to seeing your Roasted Cauliflower Soup Recipe. roasted cauliflower soup as well! Looks wonderful! This sounds good. You forgot to say to use 1 tablespoon of oil to cook the onions. And do we add the stock to the onions and garlic before adding the roasted vegetables? Maybe I'm too picky here. I only had one onion on hand and 2 sounded like a lot. Even 1 onion seems a little overpowering. I’ll see how it is after sitting overnight, but I foresee roasting more carrots & adding them to soup before serving.